One of the most despicable manifestations of human flesh ever to disgrace this planet was Nero Claudius Caesar. Born in A.D. 37, Nero was educated at the feet of the philosopher Seneca (whom he eventually forced to commit suicide). Nero murdered his way to the imperial throne, which he occupied from A.D. 54-68. His life was characterized by debauchery, violence (he caused his own mother to be killed), and extravagance. In A.D. 64, a terrible fire broke out in Rome. It was strongly believed that Nero deliberately torched the city in order to justify building a more splendid one. At any rate, the conflagration raged out of control for more than a week, substantially destroying about 70% of the area. As a consequence of this tragedy, and the widespread belief in Nero’s complicity, the emperor became the brunt of intense criticism. The ruler seized upon a plan. Due to the fact that Roman sentiment was hostile toward Christianity, the emperor would blame the followers of Jesus for this crime. Thus did he, and in A.D. 64, a fierce persecution was launched against the saints in Rome. We do not know for certain how or when the cause of Christ was planted in Rome. Apparently it was not the result of apostolic mission efforts (cf. Rom. 1:11). It could be that some from Rome, converted on the day of Pentecost (cf. Acts 2:10), migrated back to their home city and established the church there. The Neronian persecution was vicious indeed. Tacitus (c. A.D. 60-120), a Roman historian, has preserved a record of this situation. We quote the following from his Annals (XV.44). There are several interesting things to consider about this topic. First, Nero was the Caesar to whom Paul appealed when he was unjustly accused by the Jews and falsely imprisoned (cf. Acts 25:11). The apostle was taken to Rome and kept under guard for two years (Acts 28:30), before Nero finally heard his case. It is incorrect to say: “[I]t is unknown whether Nero took any personal part in the Apostle’s trial” (Cross, 945). We know this because an angel had explicitly informed Paul: “you must stand before Caesar” (Acts 27:24). The great apostle won his appeal (as chronological data in First Timothy, Titus, and Second Timothy reveal), only to be later condemned by the malevolent ruler. According to the historian Eusebius, Nero beheaded Paul and had Peter crucified (II.25). “Let every soul be in subjection to the higher powers” (13:1). He points out that civil government, generally speaking, is for the ordering and protection of society. Laws directed to that end ought to be obeyed. “Be subject to every ordinance of man for the Lord’s sake: whether to the king, as supreme; or unto governors, as sent by him” (1 Pet. 2:13,14). These passages are subtle indicators of the inspired nature of the New Testament. Men who were writing under ordinary human impulses would hardly have encouraged brethren to honor and obey one as vile as Nero. But Christians are to be good citizens regardless of the character of their leaders. Then consider this point. Tacitus mentions “Christus,” from whom the “Christians” derived their name. This is a clear reference to Christ. In view of this, how can certain atheists, with a vestige of remaining conscience, continue to claim that the ancient historians never mentioned Christ? One such writer asserts that “there were no references to Jesus by contemporary historians.” He even includes Tacitus (Matthews, A10). Another skeptic classifies Tacitus’ testimony as “doubtful,” and suggests that the historian was merely reporting what Christians believed, and not what he viewed as actual history (Hayes, 147). Such writers have forfeited every ounce of literary credibility. Tacitus says that Nero’s persecution resulted in the apprehension of some Christians who, in turn, testified against their brethren so that “an immense multitude was convicted” and put to death. It is of some interest that there were church members in Rome who were willing to surrender their own brethren to the authorities for persecution. This cannot but remind us of a situation Paul encountered while he was in the city. When the apostle wrote to the Philippians, he exposed the fact that some of the brethren in Rome were envious of his labor in the gospel. Paul charged that they “preach Christ even of envy and strife” hoping to “raise up affliction” for him in his bonds (1:15-17). They would rub salt in the apostle’s wounds! (cf. Mt. 24:10). It is not difficult to imagine that some of these were the very ones who “turned state’s evidence” under Nero’s brutal assaults. Tacitus also describes the torture to which Christians were subjected — thrown to wild dogs to be torn apart, burned alive to serve as torches in the night. The crucial question is this: In spite of some defectors, why was that “immense multitude” of saints so willing to endure this horrible treatment? It can only be that they had strong evidence that Christianity was genuine — that Jesus of Nazareth, the founder, had risen from the dead, and that he offered the hope of eternal life to those who endured in faith. 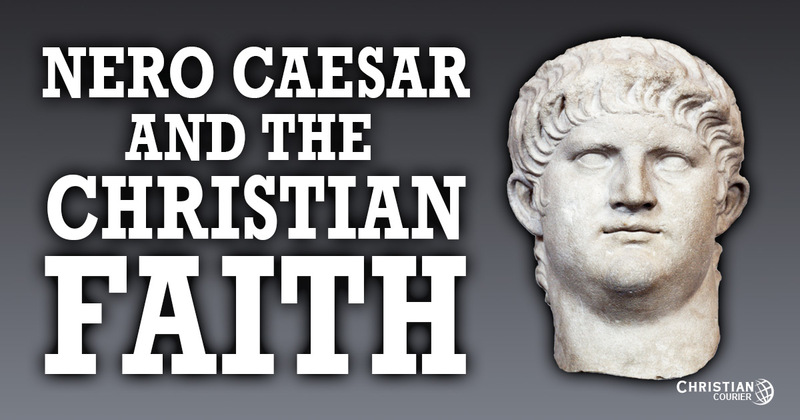 It is a tragic footnote to history that Rome eventually became the focal point of an egregious apostasy from the faith. Can we learn anything from this? Was Paul’s Reference to His Cloak a Meaningless Triviality? Cross, Frank. 1958. The Oxford Dictionary of the Christian Church. London: Oxford Press. Matthews, Ralph. 1997. The Record [Stockton, CA]. August 8.